Subaru announced Legacy, a new sedan model at the Chicago Motor Show. New Subaru Legacy, especially against a strong opponent, this time in Europe with an important trump card is coming! Subaru Legacy is now more ambitious for the European market! 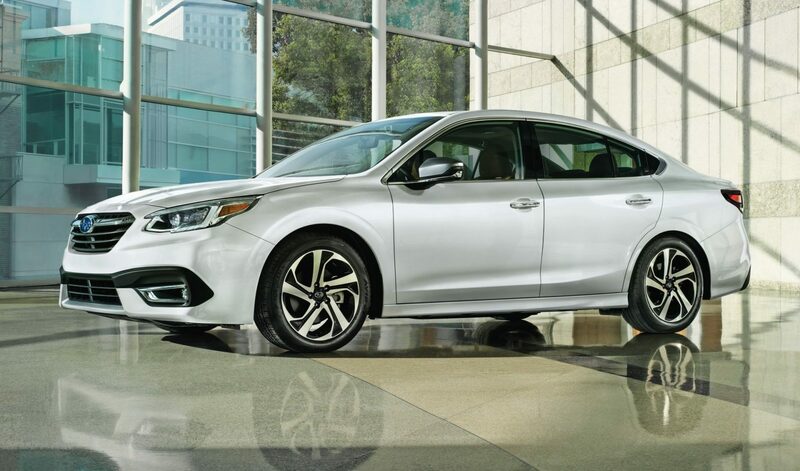 The new Subaru Legacy will compete with models such as the Toyota Camry, Honda Accord and Mazda6 in the sedan market where the Japanese brand is missing in Europe. The design genes seem to be more muscular and wider than their predecessor . The increased shoulder lines and swollen fenders also have an effect on this. In addition, Subaru'un vehicles used in the new model and named as the SGP has switched to the modular platform. The new Legacy, which keeps luxury in the interior; It features nappa leather upholstery, piano black finish and 11.6 inch Full HD multimedia system as standard. Electric and heated / cooled front seats, heated steering wheel and 12 loudspeaker Harman Kardon sound system is remarkable in the list of options. On the safety side, Subaru offers many passive aids to the drivers. The EyeSight driving support system, motion-sensitive LED headlamps, blind spot assistant and lane support assistant are the leading ones. However, thanks to the new platform, the chassis has a two-fold rigid structure. This allows up to 40% more energy damping in front and side impacts. Under the hood of the new Subaru Legacy, the brand's new 4-cylinder turbo engine draws the lead. The 2.4 liter engine offers 260 hp and 375 Nm of torque. In addition, the boxer motor lovers for 182 horsepower and 238 Nm torque-generating 2.5-liter engine option is forgotten. These two motors are accompanied by the Lineartronic CVT transmission. The renewed Legacy will be available in European and American markets from autumn. It is unclear whether the performance sedan will come to our country.